This website was under construction — for all of 49 minutes. My WordPress skills are coming on a treat! it doesn’t have the website address on it. And when I tried to explain the old website, well, it just rolled off the tongue like a brick. 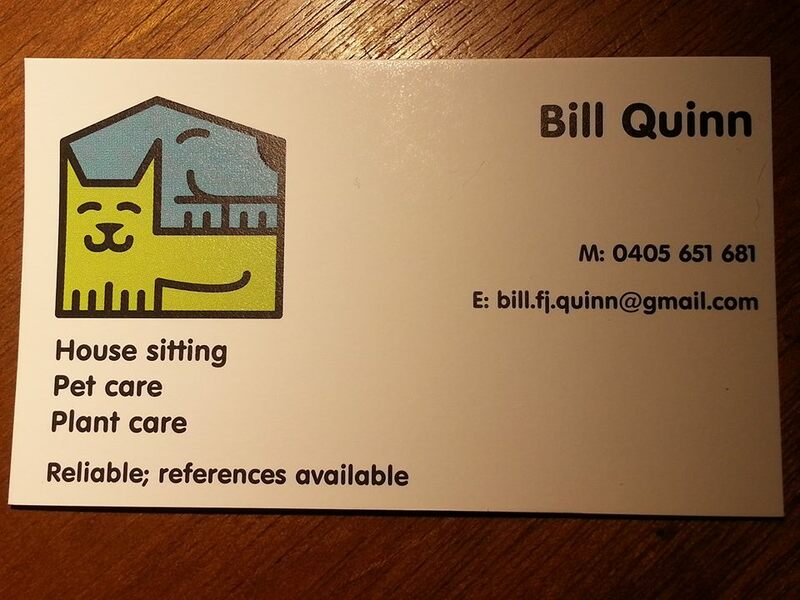 I have found that Googling ‘Bill The Housesitter’ would sometimes find it first hit and sometimes not. A bloke on the street in Lane Cove North whipped out his iPhone and it was the top spot. When I tried a few days later in the Parramatta Public Library, I got the details of some 64 year old dude from Tobacco Spit, Missouri. One of the great advantages of this separate site over the old version is that I can use lots of tabs to segregate information. (The former was restricted to a single page as it was an off-shoot of my music/interviews blog.) So availability, references and my general blurb all appear neatly under tabs at the top of the page. An old acquaintance hadn’t realised the full extent of what I do until last night when he saw the old page. He immediately had 20 questions, mostly about security, liability and such like. Hopefully the tabs will provide easy access to this information for potential users of my services. What this new format allows me to do with the dedicated blog is something I’ve been meaning to do for a long time: write about some of the amazing animals, locations and anecdotes I stumble upon on, living this rather unusual lifestyle. Approaching two years full-time now, it’s gone from something of necessity being the mother of invention to an approach I actively enjoy and embrace. It won’t be a regular thing, but I’m going to blog on a bit about the blessings, burdens, delights, joys, pitfalls and pleasures of being a full-time housesitter. And without turning it into an all-out travel blog, I’d like to record a bit about the places I go, the things I see, the quirky bits that amuse and bemuse me. A sort of an, “If It’s Tuesday, It Must Be Belrose” sort of thing. I may do a little light back-tracking. 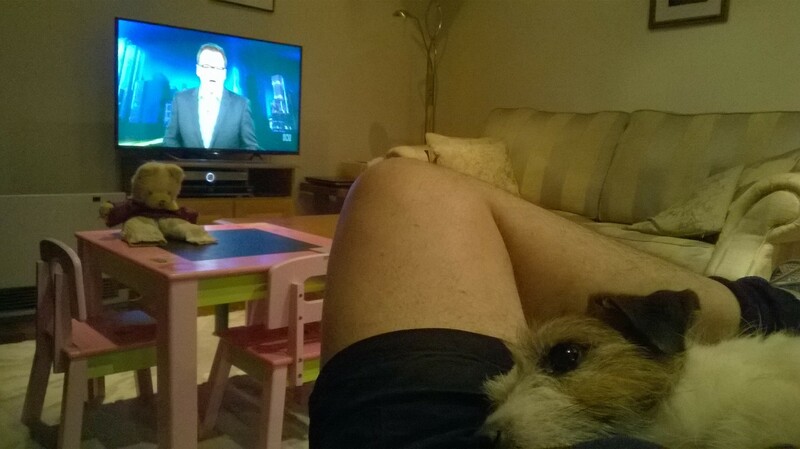 My first housesits were in Hawker in the ACT many years ago, but I didn’t really get into the swing until late 2011, and then after leaving a particularly unpleasant houseshare, I started to loose myself from the binds of a place to laughingly call ‘home’. So in those years, there have been some formidable and formidable (fr.) experiences. It is strictly no surnames, no pack drill for clients and pets. Privacy laws and common courtesy rule supreme. So, if you’re sitting comfortably, let’s begin!